Werk-Brau manufactures all attachments to O.E.M. 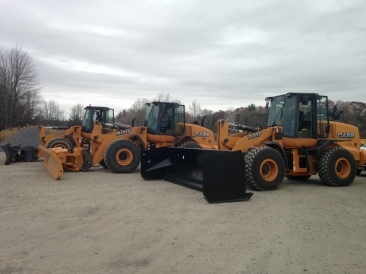 specs for all makes and models of wheel loaders. Snow Pusher width will vary based on Machine Class. 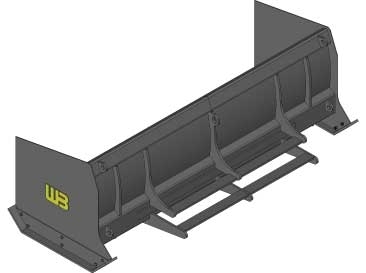 The Snow Pusher is extremely handy for use at parking lots, gas stations, storage facilities, hospitals, airports, or any area you wish to remove snow from. 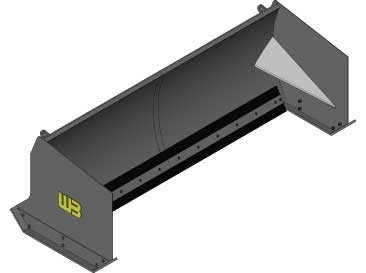 The Werk-Brau snow pusher is a fast and effective tool that is easy to connect, and does less damage to surfaces than steel blade pushers. The Werk-Brau Snow-Pusher is equipped with an adjustable rubber cutting edge, which absorbs shock and resists loader blade impacts. It is ideal for removing wet, heavy snow and limits damage to most surfaces to minimal or no damage at all. 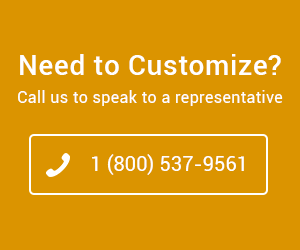 Special designs and capacities are available, please request a quote from a Dealer or contact Werk-Brau directly.